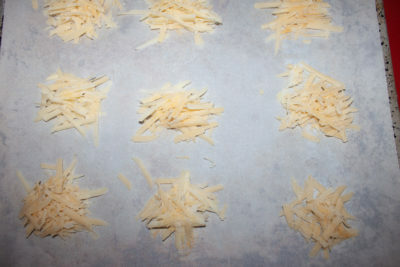 Grate some parmesan cheese (use real cheese, not the canned). 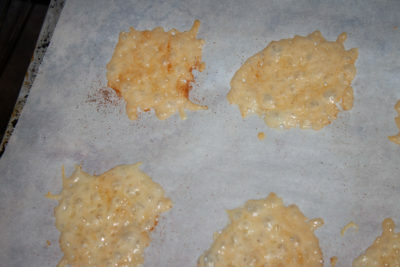 Make little mound of about 2 Tablespoons of the cheese on a parchment lined baking sheet. Sprinkle the garlic powder over all the mounds evenly. Bake for about 5 to 7 minutes, until the cheese is melted and the edges start to brown. 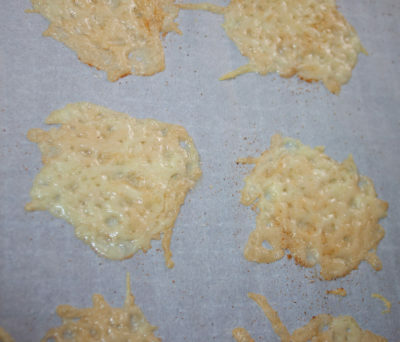 Take them out of the oven and slide the parchment onto a cooling rack. Before the rounds cool, curl a few and let them cool into that position. Cool for about an hour. 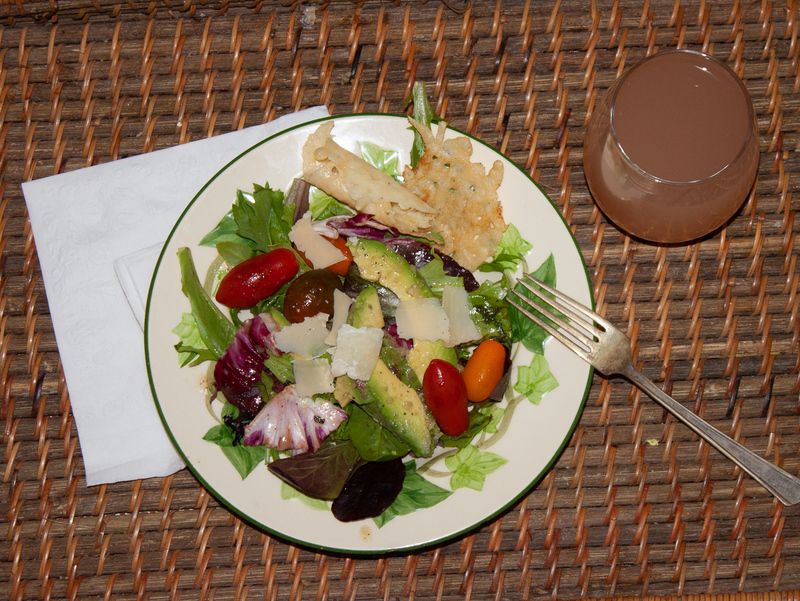 While the crisps are cooling, make the vinaigrette. 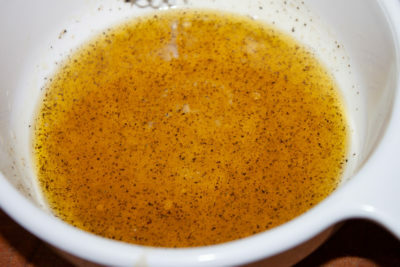 Put all the ingredients into a bowl and whisk until it has emulsified – and is well blended. Toss with the vinaigrette. Top it off with a couple of crisps and serve! 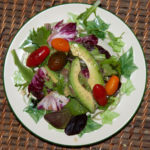 A super easy salad that says Spring with every bite. 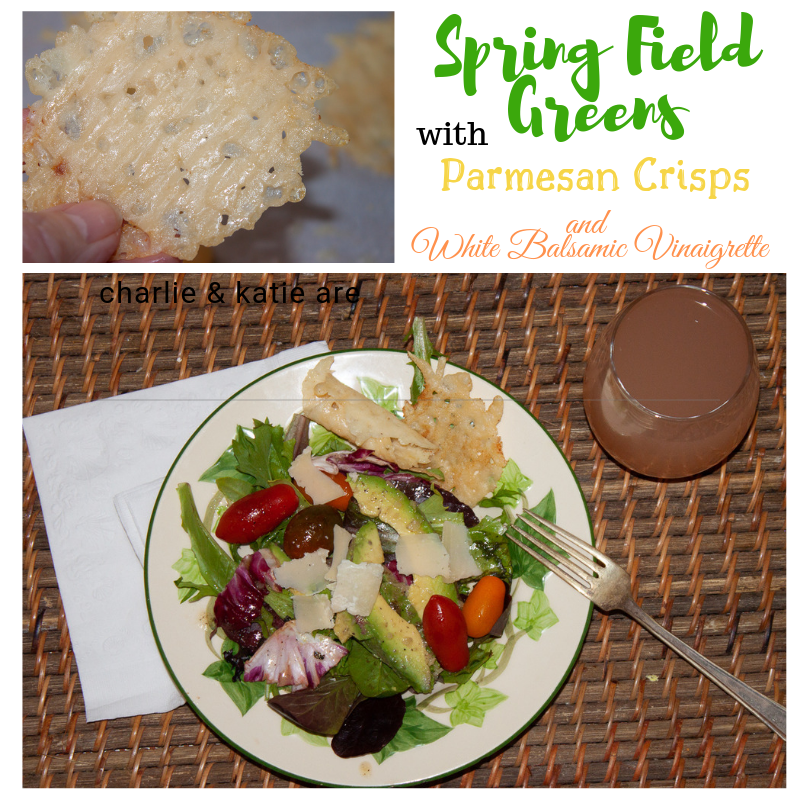 Grate some parmesan cheese (use real cheese, not the canned). 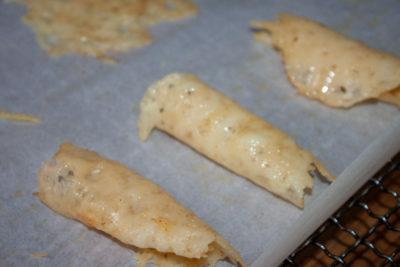 Make little mound of about 2 Tablespoons of the cheese on a parchment lined baking sheet. Before the rounds cool, curl a few and let them cool into that position. Cool for about an hour. Now assemble the salad. 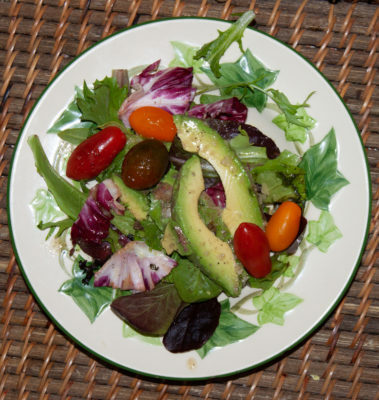 Lay the greens in a salad dish. 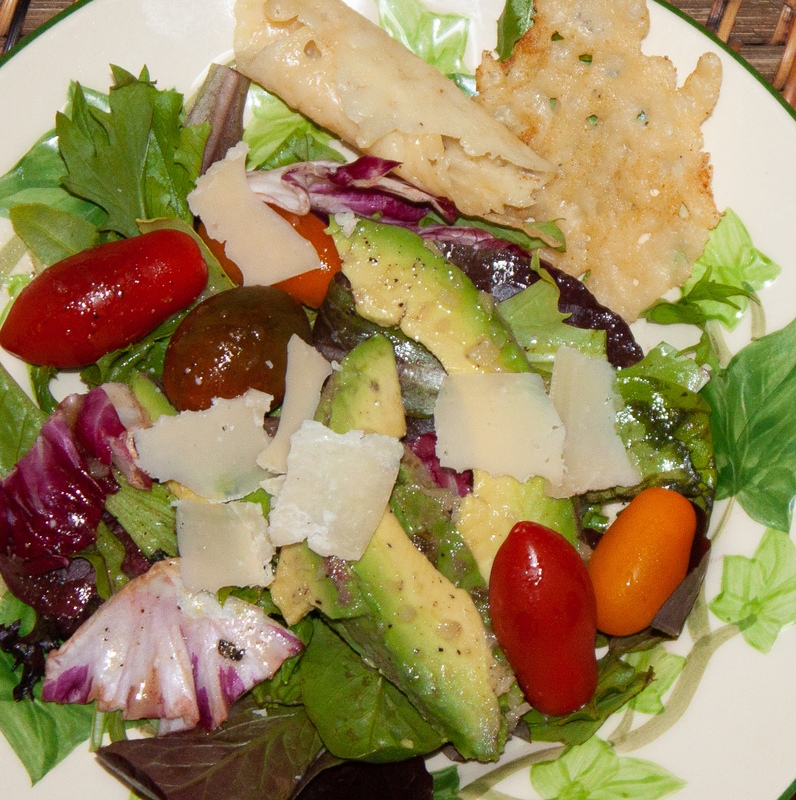 Add some tomatoes, avocado, parmesan cheese flakes and toss with the vinaigrette. Top it off with a couple of crisps and serve! Goes great with a Sober Greyhound (that’s grapefruit juice and grapefruit LaCroix water)!